Dadarao Bilhore, 48, sells fruit and vegetables. His 16-year-old son died in 2015 because he was not wearing a helmet. 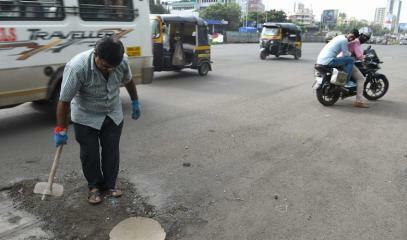 Study reports 27,000 potholes in Mumbai. More than 3,000 people die every year on Indian roads; that is almost 10 a day. Mumbai (AsiaNews/Agencies) – Dadarao Bilhore lives in Mumbai. In 2015 he lost his 16-year-old son in a road accident caused by a pothole in Mumbai, Maharashtra. Since then, he has taken on the task of fixing potholes as a form of mourning and atonement. Bilhore, 48, sells fruit and vegetable. 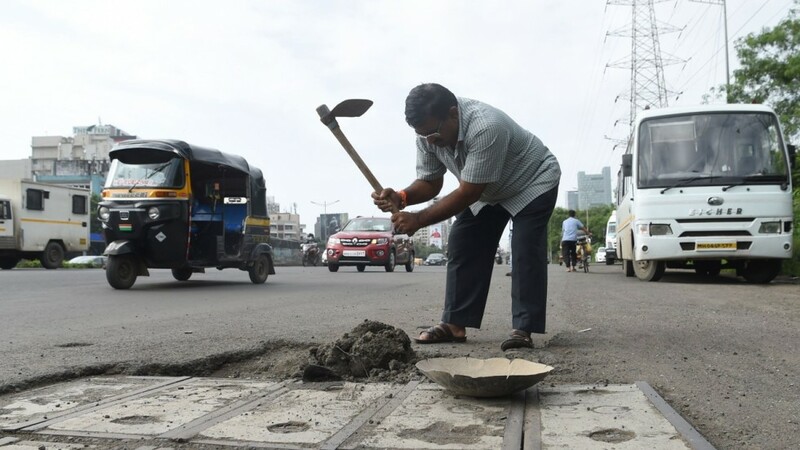 In his free time, he picks up a shovel, sand and gravel and goes out to fill in potholes, earning him the nickname of ‘Dada potholes’, pothole dad. He says he has repaired almost 600 potholes, but has a long way to go. 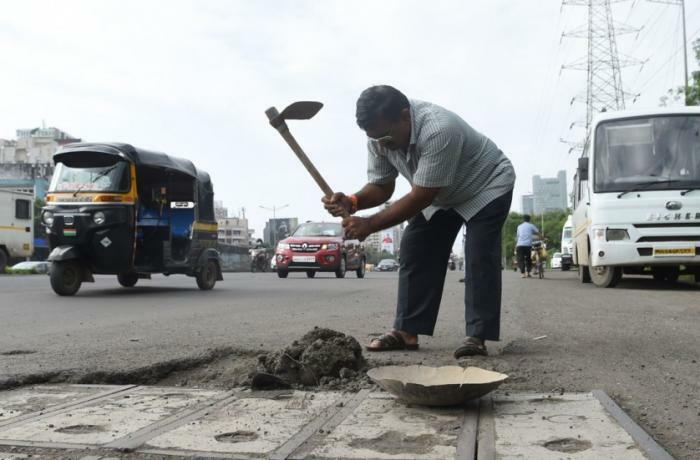 Navin Lade, a Mumbai resident, says he has recorded more than 27,000 potholes in Maharashtra’s metropolis, a figure local government officials reject. 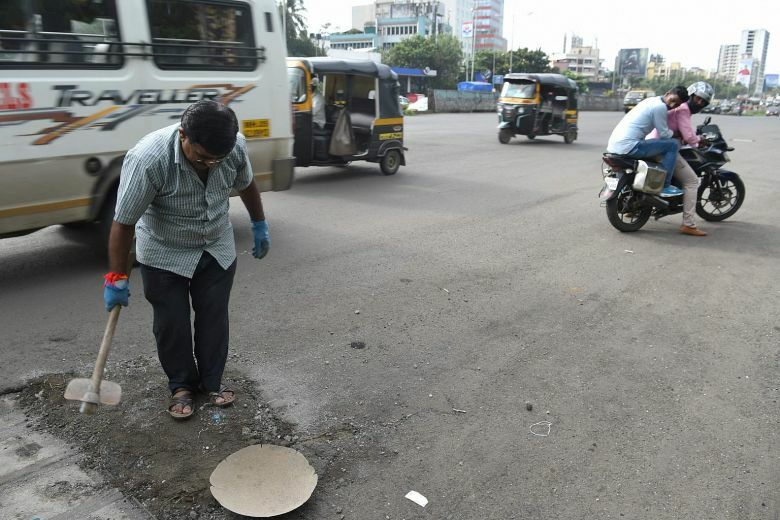 Whatever the case, the quality of Mumbai’s roads leaves a lot to be desired, so much so that a campaign is underway to have Mumbai featured in the Guinness World Records as the pothole capital of the world. Residents complain that the government is indifferent to the situation and blame the authorities for the poor maintenance. Some activists also claim that the repair work is so shoddy that roads must be repaved every year. Then there is the rain. When it comes road conditions get worse, especially during the monsoon season, as the pavement is weakened creating huge holes. Government figures show that there were 3,597 road deaths across the country in 2017, an average of ten fatalities per day. One of those who died was Prakash, Bilhore’s, a promising student who at the time of the accident was travelling on a motorcycle with his cousin. Prakash, who was not wearing a helmet, suffered fatal brain damage. His cousin, who was wearing one, walked away with minor injuries. In India, road construction has taken on a momentum in recent years, above all thanks to the infrastructural programmes of the current government. The latest figures from the Highway Ministry from April show that in the past four years the kilometres covered by motorways have doubled, with an average of 27 km of roads built every day, from 4,410 km in 2014-2015 to 9,800 km in 2017-2018.